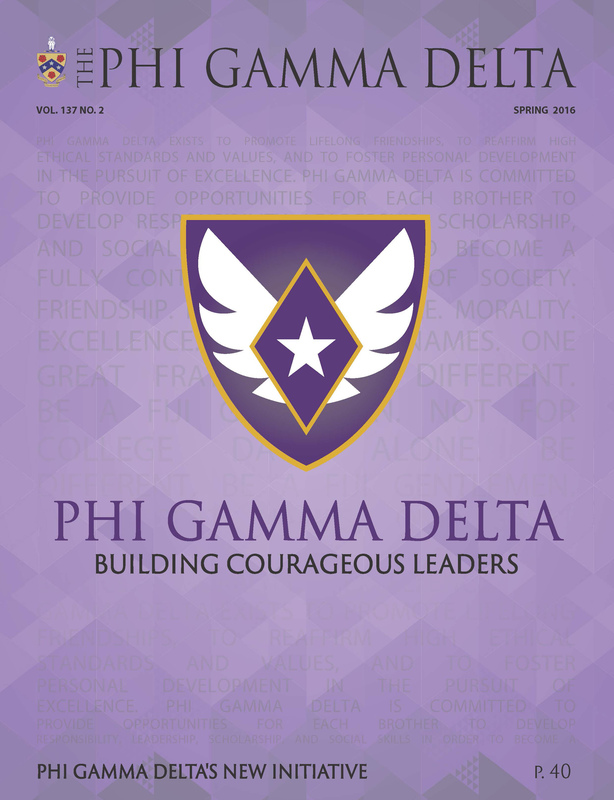 What is Courageous Leadership & Why is it important for Phi Gamma Delta? 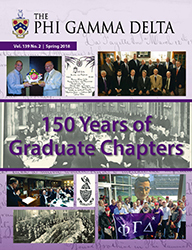 Please visit the Phi Gamma Delta Archives Digital Repository for earlier editions of The Phi Gamma Delta magazine. 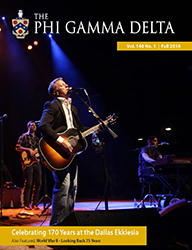 The fall issue of The Phi Gamma Delta is mailed to all brothers and pledges. 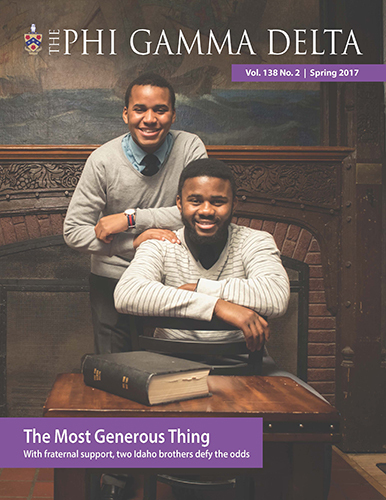 The spring issue is mailed to undergraduates, current graduate dues and Educational Foundation donors, and brothers who have specifically requested both issues. All issues are posted on the Fraternity’s website. Notification of publication will be sent via email to any brother or pledge for whom we have a valid email address. You can also pay your Graduate Dues or to make a tax-deductible gift to the Educational Foundation. To update your information (including email) on file, sign up/log in to our website or contact us. 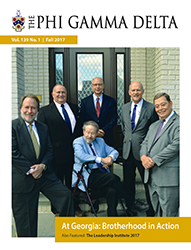 To otherwise request a printed copy of the magazine, contact the Director of Communications at PO Box 4599, Lexington, KY 40544-4599. Do You Have Good News to Share? 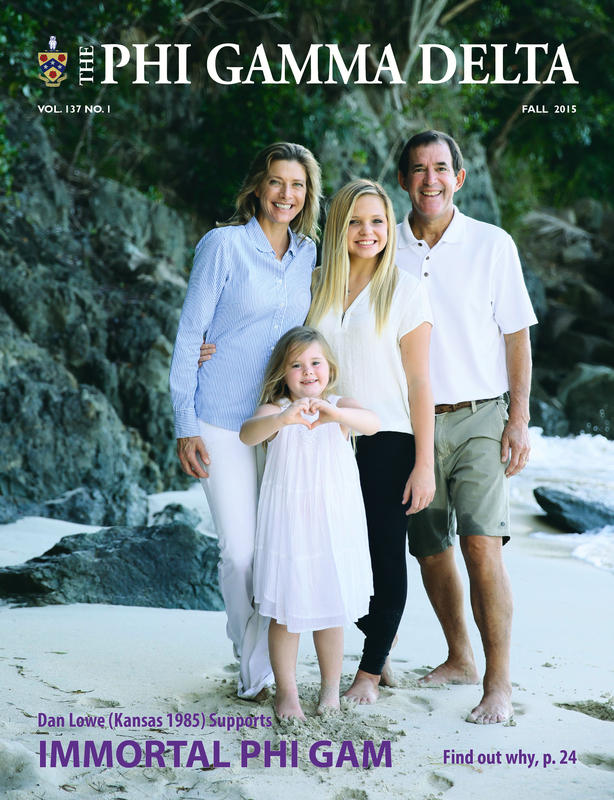 When you have Good News, submit your news and photos for inclusion in an upcoming edition, social media or the magazine.